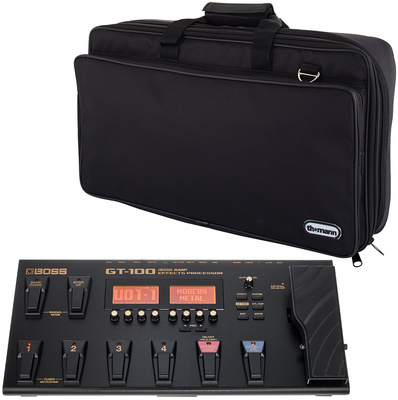 GT-100, Multi-Effects for Electric Guitar from Boss in the GT series. What are the effects or types of effects available? Are they edited? Via a Mac / PC editor? Is this a rack or rack MODEL? The general configuration is it simple? Yes assé easy after a few days of use, but the best is the edition of the patch via a PC or Mac. The effects are they effective, responsive and realistic enough? Very good modeling of effects including mouth amps and speakers. Which instruments do you use? Electric guitars, most often equiped double coil pickups. For almost one year now. Have you tried many other models before buying it? 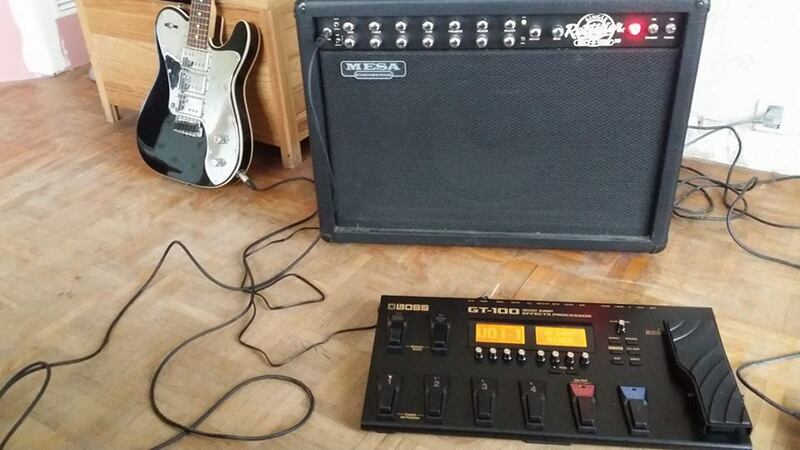 Digitech 355, but the Boss GT100 is much more complete and easy to edit live or Repette. What is the particular feature you like best and least? How would you rate the quality / price? Ok very good investment that will me much qq years. Yes and no studio is always better with a real pedal board with real pédalles of effects. The digitization of sound is always heard malgrés this upscale home Boss. 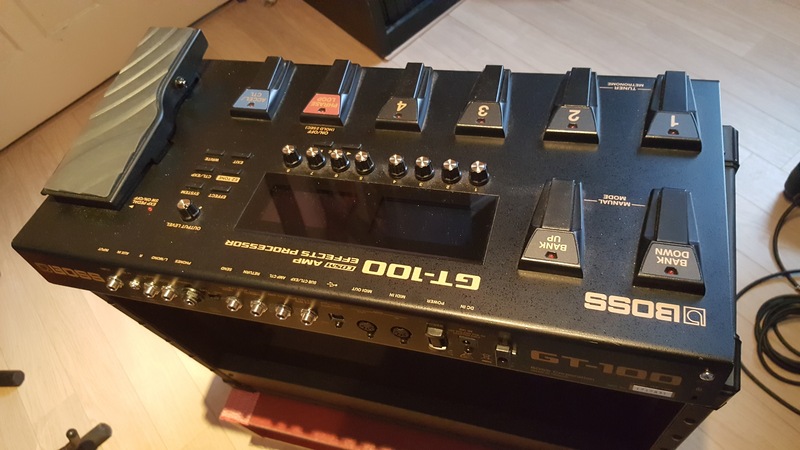 hurbain's review (This content has been automatically translated from French)" Boss GT-100"
Simple yes, but it is a multi-effects capabilities enormous. It is simple because there is a function "Rappide" selecting an amp or style and addapte with a slider to 4 axes + or - in one way or another and opportunities for the same amp are important . But if we want to solve everything, amp, effects and cross-references to those without it from a configuration, it is not within the reach of beginners. The manual could be done better, but it's not bad. There is a demo video on the site builder, but in English. In a good tube amp, using the pre-amp of it and the effects of GT-100 is a treat (4 cables method). In a good amp lamp, you can also just use the power amp of the amp and pre-amp Gt-100 and its effects. The quality is good and the advantage is to have a large sound palette. In a transistor amp, I have not tried. Very satisfied, I made my presets (ten) with either the pre-amp or without my JVM. I use it a lot as the headset when I can not make any noise at home and it is very convenient, but not possible to use the preamp of the amp. florent83330's review (This content has been automatically translated from French)" blah ..."
use very intuitive, dual screen support. all depends on what you search, and your equipment. Let me explain: I was looking for something compact to play in repet without several pedals. FYI, it'm 18 I play guitar, so I became demanding. the problem with the gt 100 is that you can do many things, but is average. effects, overdrives, the distos are average. Then, whether you live branches on the amp or in the loop, it significantly denature your amp. I play on a mesa ta-30, and I lost all the dynamics of an amp claase A. So, if you start the guitar, it's a great machine, you can really have fun on your way otherwise. since I'm a pedal-board finally, I have 5 pedals and hard as it faut.d Moreover, same for the pedals, you need analog pedals with true-bypass, otherwise you will certainly the same problem with the digital sound processing. I will look if you have more questions tomorrow. I hope it was not too late for the answer! 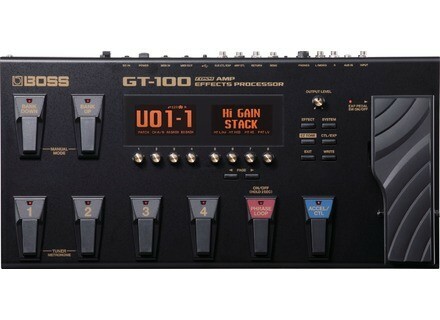 Boss announces a new desktop processor at Musikmesse 2014 to join the GT family as well as an update to the very popular GT100.